June Carter Cash – American singer, songwriter, actress, dancer, comedian, and author. 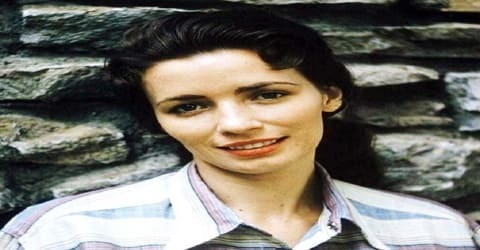 An American singer, songwriter, and actress, who was a leading figure in country music, especially noted for her work with the Carter Family and Johnny Cash, June Carter Cash was born on June 23, 1929 in Maces Spring, Virginia, U.S. to Maybelle Carter and Ezra Carter into the renowned Carter Family (a traditional American folk music group). 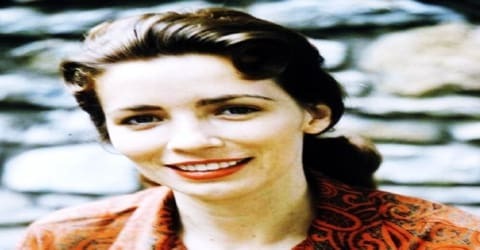 Prior to her marriage to Cash, she was professionally known as June Carter and occasionally was still credited as such after her marriage; as well as on songwriting credits predating it. June came into the spotlight after her performances with her sisters Helena and Anita. At that time, she expressed her talent through comic acts. She was so popular for her humorous comments that her comic act became an indispensable part of her show. She used to play the comic character of Aunt Polly in most of her road shows. Later, along with her mother and sisters, she became a part of Grand Ole Opry. After studying acting from The Actor’s Studio in New York City, she acted in several films and television series. After pursuing an acting career for some years, she started her career in music again and worked with Johnny Cash, an American singer, and songwriter. Their combined effort resulted in several hits like “It Ain’t Me Babe”, “If I Were a Carpenter” and “Jackson”. She has received the Grammy Award for her solo album “Press On”. June played guitar, banjo, harmonica, and autoharp, and acted in several films and television shows. 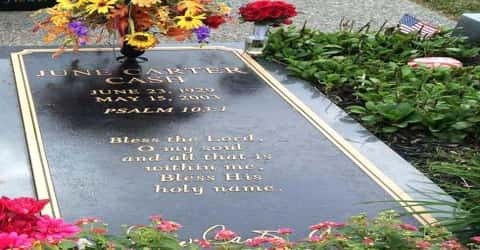 Carter Cash won five Grammy Awards and was inducted into the Christian Music Hall of Fame in 2009. She was ranked number 31 in CMT’s 40 Greatest Women in Country Music in 2003. 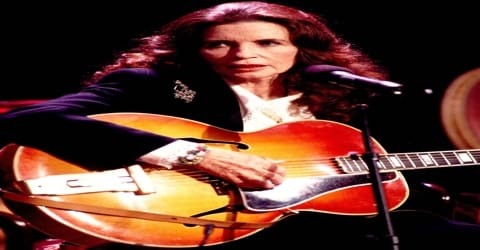 June Carter Cash, née Valerie June Carter, was born on June 23, 1929, in Maces Spring, Virginia, the U.S. she was raised in the Clinch Mountain area by her father Ezra Carter and mother, the former Maybelle Addington. June Carter learned to play autoharp from her mother. Besides this, she also learned to play banjo and guitar during her childhood days. At that time she developed a particular guitar style which later came to know as the Carter scratch. In 1937, June performed at public events with her sisters Helen and Anita as the Carter Sisters. Their show also featured June’s humorous comic performances and monologues. June Carter was married three times and had one child with each husband. In 1952, June was married first to honky-tonk singer Carl Smith. Together, they wrote “Time’s A-Wastin”. They had a daughter namely Rebecca Carlene Smith. They got divorced in the later part of the 1950s. June’s second marriage was to Edwin “Rip” Nix, a former football player, police officer, and racecar driver, on November 11, 1957. They had a daughter, Rosie, on July 13, 1958. The couple divorced in 1966. 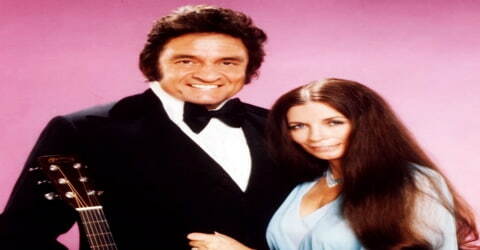 On March 1, 1968, June tied the nuptial knot for the third time with Johnny Cash. Their only son’s name was Johnny Carter Cash, are a musician, songwriter, and producer. June Carter also had close relationships with a number of entertainers, including Audrey Williams, James Dean, Patsy Cline, Loretta Lynn, Jessi Colter, Kris Kristofferson, Willie Nelson, Elvis Presley, Robert Duvall, and Roy Orbison. 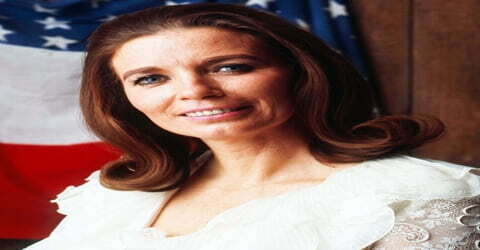 June Carter was a longtime supporter of SOS Children’s Villages. In 1974, the Cashe’s donated money to help build a village near their home in Barrett Town, Jamaica, which they visited frequently, playing the guitar and singing songs to the children in the village. June Carter was introduced to country music, specifically Appalachian folk songs, at a very young age. Her mother, Maybelle Carter, was part of the Carter Family, a popular trio that grew to include June and her sisters. After the group disbanded in 1943, June began touring with her mother and sisters as the Carter Sisters and Mother Maybelle. The act was featured on several radio and television programs, eventually becoming a regular at the Grand Ole Opry in Nashville, Tennessee. Noted for her comedic skills and her talents with various musical instruments, especially the autoharp, June began a successful solo career while continuing to work with her family; she made her solo debut at the Grand Ole Opry in 1950 and later toured with Elvis Presley. She also pursued an acting career, studying with Lee Strasberg and garnering roles on television shows such as Gunsmoke. While June Carter Cash may be best known for singing and songwriting, she was also an author, dancer, actress, comedian, philanthropist, and humanitarian. Director Elia Kazan saw her perform at the Grand Ole Opry in 1955 and encouraged her to study acting. She studied with Lee Strasberg and Sanford Meisner at the Neighborhood Playhouse School of the Theatre in New York. Her acting roles included Mrs. “Momma” Dewey in Robert Duvall’s 1998 movie The Apostle, Sister Ruth, wife to Johnny Cash’s character Kid Cole, on Dr. Quinn, Medicine Woman (1993-97), and Clarise on Gunsmoke in 1957. June was also Momma James in The Last Days of Frank and Jesse James. As a singer, she had both a solo career and a career singing with first her family and later her husband. As a solo artist, she became somewhat successful with upbeat country tunes of the 1950s such as “Jukebox Blues” and, with her exaggerated breaths, the comedic hit “No Swallerin’ Place” by Frank Loesser. June also recorded “The Heel” in the 1960s along with many other songs. In 1957, June acted in various supporting roles on ‘Gunsmoke’ and ‘The Adventures of Jim Bowie’. Both of these are American Western television series. In 1958, she acted in the film ‘Country Music Holiday’. She also featured on the television show “Shindig”. In the early parts of 1960, June started her career in music again by performing with her mother and sisters. It was during this period when she and other members of the Carter Family performed with Johnny Cash for a number of years. June and Johnny cash produced a number of successful musical compositions like “If I Were a Carpenter”. As a solo artist, she recorded “The Heal” in the 1960s. In 1961 June Carter joined the road show of famed country singer Johnny Cash. Two years later she co-wrote what was perhaps her best-known song, “Ring of Fire,” to describe her feelings about Cash, whose rendition of it became a hit. June wrote the lyrics about her relationship with Johnny Cash and she offered the song to her sister Anita. Anita Carter was the first singer to record the song. In 1963, Johnny recorded the song with the Carter Family singing backup and added mariachi horns. June Carter’s first notable studio performance with Johnny Cash occurred in 1964 when she duetted with Cash on “It Ain’t Me Babe”, a Bob Dylan composition, that was released as a single and on Cash’s album Orange Blossom Special. Appearances from the mid-1960s on the TV show Shindig and the 1966 drive-in country music film ‘The Road to Nashville’, which also feature the Carter Family, show Cash at the height of his addiction to amphetamines. Skinny and twitchy, he performed well but emitted the look of a junkie. Carter belatedly received a divorce from Edwin Nix in 1966, but before wedding Cash, she insisted that the Man in Black quit drugs and recommit to his faith. Her insistence that he clean up likely saved his life. The duo married in 1968 and gave birth to son John Carter Cash in 1970. In 1972, June Carter acted as Mary Magdalene in a religious film ‘Gospel Road’. Produced by Johnny Cash, this film did not receive success at box office. June continued to work with Cash on record and on stage for the rest of her life, recording a number of duets with Cash for his various albums and being a regular on The Johnny Cash Show from 1969-1971 and on Cash’s annual Christmas specials. After Carryin’ On, June Carter Cash recorded one more direct collaboration album, Johnny Cash and His Woman, released in 1973, and along with her daughters was a featured vocalist on Cash’s 1974 album The Junkie and the Juicehead Minus Me. She also shared sleeve credit with her husband on a 2000 small-label gospel release, Return to the Promised Land. Although she provided vocals on many recordings and shared the billing with Cash on several album releases, June Carter Cash only recorded three solo albums during her lifetime: the first, Appalachian Pride, released in 1975, Press On (1999), and Wildwood Flower, the latter released posthumously in 2003 and produced by her son, John Carter Cash. Appalachian Pride is the only one of the three on which Johnny Cash does not perform, while Press On is notable for featuring June Carter Cash singing her original arrangement of “Ring of Fire”. During her rare slack moments, June Carter wrote two volumes of her life story, Among My Klediments (1979) and From the Heart (1987). As Cash’s career began to slowly wane during the 1980s and 1990s, Carter began taking acting roles again. She made appearances on television programs like ‘Little House on the Prairie’, ‘Dr. Quinn’, ‘Medicine Woman’ and so on. In 1997, she acted in the film ‘Apostle’. 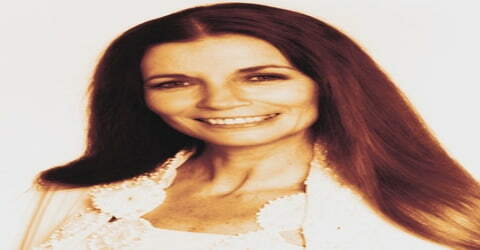 In 1999, June Carter returned to her recording jobs and released a collection of traditional folk songs. At that time, she recorded the album “Press On” that bought her a Grammy Award for a best traditional folk album. One of her final appearances was a nonspeaking/nonsinging appearance in the music video for her husband’s 2003 single, “Hurt”, filmed a few months before her death. One of her last known public appearances was on April 7, 2003, just over a month before her death, when she appeared on the CMT Flameworthy awards program to accept an achievement award on behalf of her husband, who was too ill to attend. In 1968, along with Johnny Cash, June Carter won Grammy Award for Best Country Performance, for their duet performance of “Jackson”. Written in 1963, this song tells the story of a married couple. June Carter Cash won the 2000 Grammy Award, for Best Traditional Folk Album, for her 1999 album Press On. The album was a top-15 success on the Americana chart. Carter Cash’s last album, Wildwood Flower, was released posthumously in 2003. Carter Cash won the 2004 Grammy Award for Best Traditional Folk Album, and she also won the 2004 Grammy Award for Best Female Country Vocal Performance for the single “Keep on the Sunny Side”. Musician and actress Jewel will portray the character of this legendary actress and singer in a television film titled ‘The June Carter Cash Story’ which will be broadcast in 2013. To honor her memory, she was given two Grammy Awards posthumously for her single “Keep on the Sunny Side” and the album “Wildwood Flower”. June Carter Cash died in Nashville, Tennessee on May 15, 2003, at the age of 73, from complications following heart-valve replacement surgery, surrounded by her family including her husband of 35 years. At Carter’s funeral, her stepdaughter Rosanne Cash stated, “if being a wife were a corporation, June would have been a CEO. It was her most treasured role.” Johnny Cash died four months after June’s death, and her daughter, Rosie Nix Adams, a month after that. Johnny, June, and Rosie are buried at the Hendersonville Memory Gardens near their home in Hendersonville, Tennessee. In 1963, along with Merle Kilgore, she wrote the song “Ring of Fire”. It acquired a top position on the charts for seven weeks. Her autobiographies, Among My Klediments and From the Heart, were published in 1979 and 1987, respectively. Her relationship with Cash figured prominently in Walk the Line (2005), a film based on Cash’s life. Musician and actress Jewel portrayed June Carter Cash in a Lifetime television movie called Ring of Fire, which aired on May 27, 2013. The film is based on John Carter Cash’s memoir Anchored in Love: An Intimate Portrait of June Carter Cash.